Posted 11:47 am by Kirti & filed under Karooya's AdWords Scripts. An additional description and headline was added to the Expanded Text Ads last year. How have the updated ETAs performed when compared with the old format? We have an AdWords script to help find that. Posted 1:24 pm by Kirti & filed under Karooya's AdWords Scripts, Responsive Search Ads. Responsive Search Ads was announced by Google Ads earlier this year. Ever since we have been trying to find out ways to help advertisers, firstly with RSA Template and RSA Preview Tool, and now with the AdWords script to compare performance of ETAs with RSAs. Posted 9:33 am by Kirti & filed under AdWords Tips, Karooya's AdWords Scripts, Responsive Search Ads. 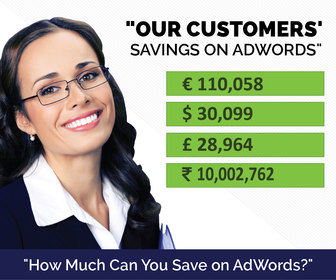 Posted 11:38 am by Kirti & filed under AdWords Tips, Karooya's AdWords Scripts. Two years back, we developed an AdWords Script that helped advertisers identify duplicate keywords as well as close variants. Today we have updated the script to let advertisers specify their preferred language and generate the list of duplicate keywords in that language. Posted 3:06 pm by Kirti & filed under AdWords Experiments, Karooya's AdWords Scripts. AdWords Experiments lets you configure and test changes that can be later applied to your original campaign. For a large account with multiple experiments, keeping a track of all experiments and their performance might be a tedious task. We have created a script to consolidate and track the performance of your experiments in your account.